NEO Philanthropy is committed to uplifting the voices of marginalized communities who are our grantees and partners and working to make the world a more equitable place. In honor of Pride Month, we will profile a few of the many organizations, leaders and NEO partners who are making waves in the LGBTQ space. 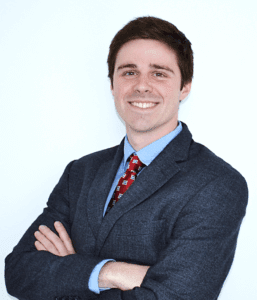 This post features Drew Keller, Program Director for Open for Business. Open for Business is a fiscally sponsored project of NEO. Drew lives in an environment where he does not worry about holding the hand of his partner when he walks down the street nor does he feel afraid to show public affection for the people he loves. He knows, recognizes and honors the people who came before him who allowed him to live his life as an openly gay man. He didn’t always know what he wanted to do or where his career would take him, but he did know that he wanted to find a way to say thank you to those individuals who came before him and perhaps even be that person for someone else. He found his purpose doing just that at Open for Business, a coalition of global companies making the case that inclusive, diverse societies are better for business and better for economic growth. Open for Business is advancing LGBT+ inclusion globally and hopes to create equality and opportunity for everyone, all across the globe. Through his work at Open for Business, Drew is working with local organizations to build networks of senior business leaders to support LGBT+ rights and inclusion in societies that are hostile to the LGBT+ community. For instance, in Kenya, LGBT+ people have seen persecution and job discrimination. To address this, Open for Business is piloting an influencer program to create a coalition of local business leaders who can create a more inclusive environment for the LGBT+ community in the country. By showcasing the value of the LGBT+ community and conducting research on how LGBT+ inclusion helps Kenya’s economy, they hope to begin shifting how the LGBT+ community is treated. When he first started this work, Drew saw countless organizations shying away from a true commitment to inclusivity. Now, he is seeing some of those same organizations deciding to join the coalition. To Drew, this a sign that Open for Business is doing its job by presenting comprehensive evidence that being inclusive to the LGBT+ community elevates the economy and helps businesses thrive. Although Open for Business is making strides, Drew doesn’t believe they have the answer for all LGBT+ acceptance and inclusivity. He knows they are one piece to the puzzle to building a world where all people feel comfortable and accepted being who they are. To learn more about Open for Business or to support their work visit https://www.open-for-business.org/.